Here’s simple guide to setup a minimal Selenium Grid with Docker. For running Docker on your machine you will need Docker toolbox installed from https://www.docker.com/products/docker-toolbox. Below steps are done on a Mac. This will get required images from the Docker hub and launch the Hub node followed by Firefox and Chrome nodes which will be registered to the Hub. Now we have a minimal Selenium Grid up and running. We can point Selenium tests to this Grid for execution. 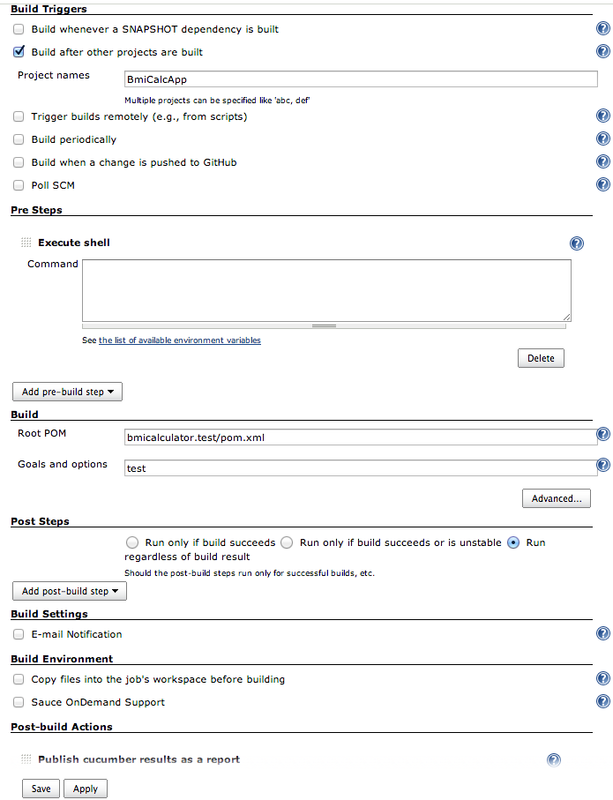 In the next post we’ll see some advanced options and integration with Maven and Cloud tools. [Note] This post was written well before SmartBear released TestComplete 10 with support for testing iOS and Android mobile apps. Please visit the SmartBear TestComplete product page for more details. This post is no longer valid and kept here as a reference. My day job needs me to work on TestComplete a popular commercial testing tool from SmartBear Software. We do a lot of serious testing using TestComplete for our Desktop applications. 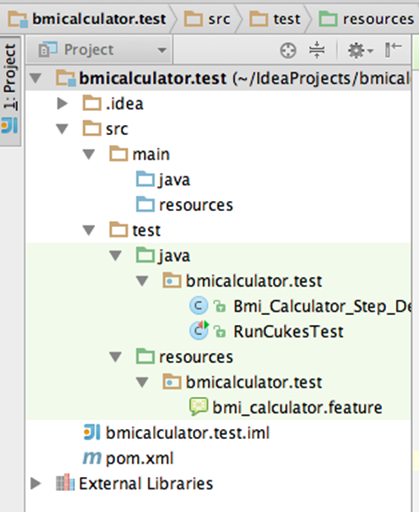 Recently I saw discussions on TestComplete User Forums about possibility of testing mobile apps using TestComplete. While TestComplete supports testing on wide range of technologies and application platforms including Web and Desktop applications developed on Windows, .NET, WPF, Delphi, C++, Java and so on. 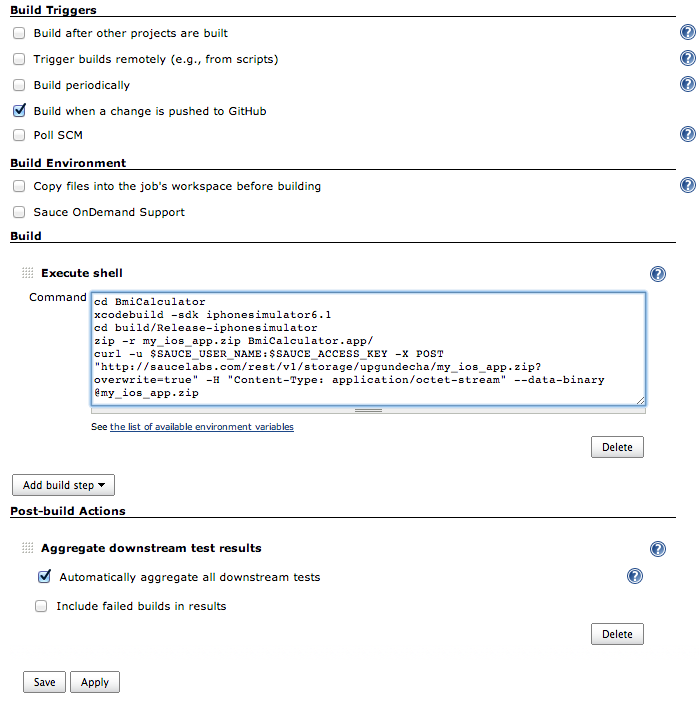 However while writing this post it does not have in-built mobile testing capabilities. SmartBear is working on adding mobile testing features which are in beta phase. There are third party tool/plug-in(s) available which use Image Recognition based approach to test the applications. But there is no native support to test iOS or Android Apps. With these thoughts in my mind, I started to explore if I could mix Appium with TestComplete which will allow testing mobile Apps without leaving the TestComplete environment? With couple hours of hacking, here are the results! Appium is an open source test automation framework for automating native and hybrid mobile apps. 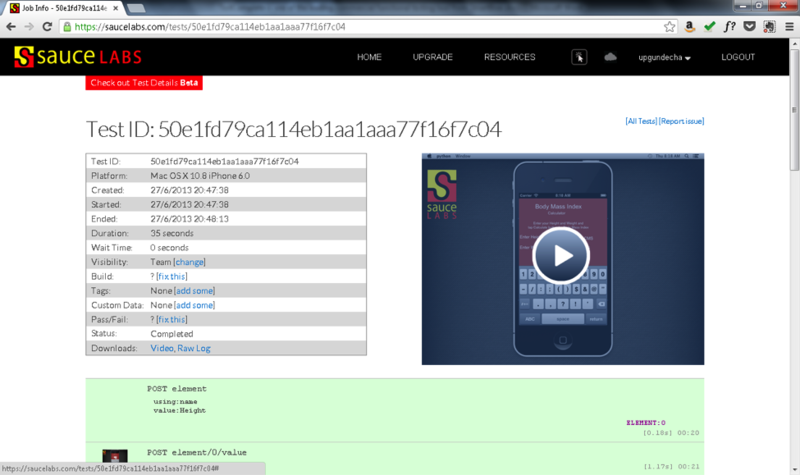 It drives iOS and Android Apps using the WebDriver JSON wire protocol. 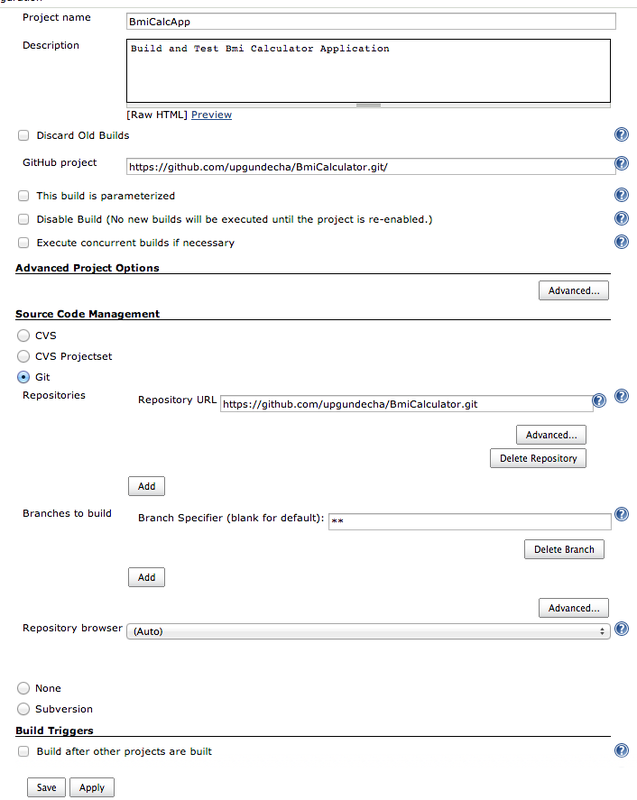 Appium tests are built on Selenium WebDriver API. The WebDriver API is used for driving user actions in Browsers, but now it can be used to drive the user interaction on native and hybrid mobile Apps. WebDriver API provides various language bindings which allow you to use them with your choice of programming language and platform, very cool! TestComplete is a versatile tool and provides supports for more than dozen technologies and extensibility features. 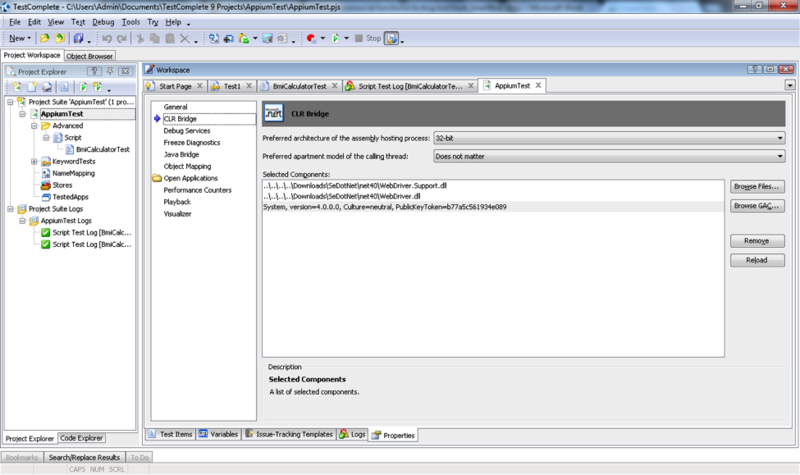 TestComplete provides a .NET Bridge which allows access to individual objects of .NET assemblies, their internal properties and methods. This is done by a special dotNET object that provides access to .NET assemblies, types and type members. This feature is available as part of .NET Classes Support plug-in in TestComplete. 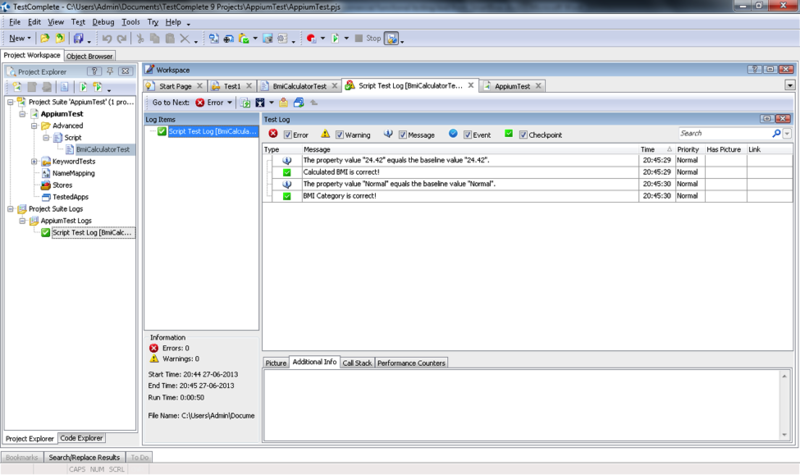 Setting up the WebDriver .NET API with TestComplete is relatively easy task. Following section describe the detailed steps for driving Appium through TestComplete for testing a sample iOS native App. Download the latest binaries from http://docs.seleniumhq.org/download/. You need to click on Download link in front of C# option in Selenium Client & WebDriver Language Bindings section. 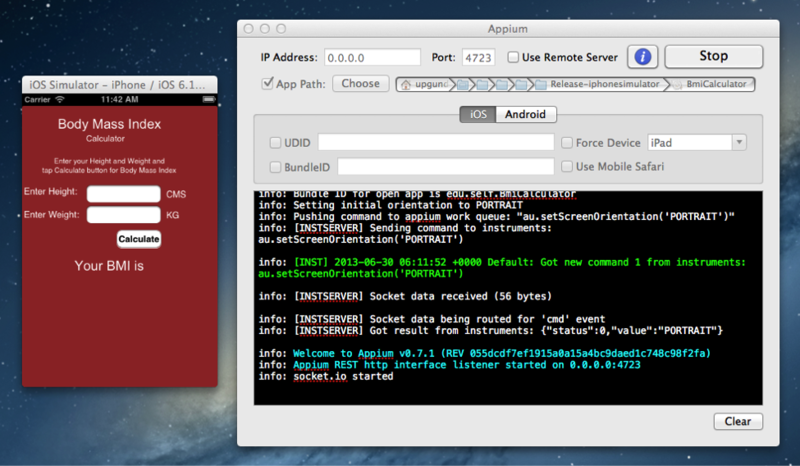 Before we start testing iOS or Android apps, we need to setup Appium in a local environment. 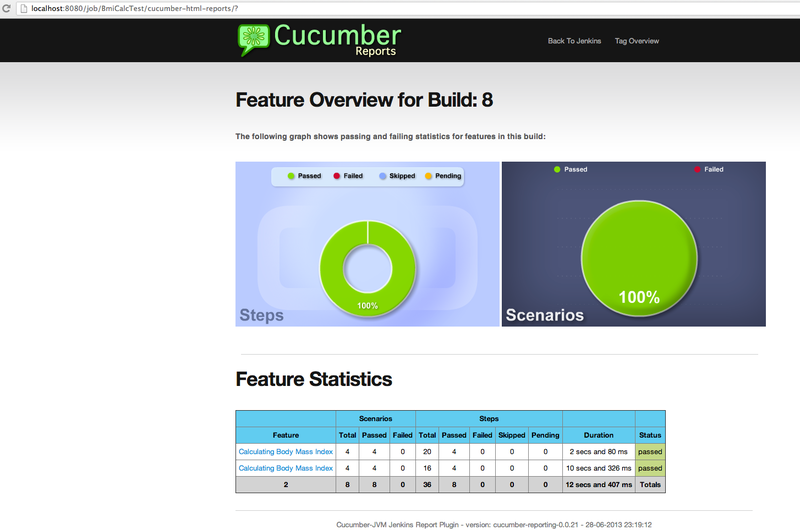 If you wish to run tests for iOS, then you need to setup Appium on a Mac OSX machine. For testing Android applications you can setup environment on a Windows or Linux machine. Setting up Appium is fairly easy with new Appium App for Mac OSX. 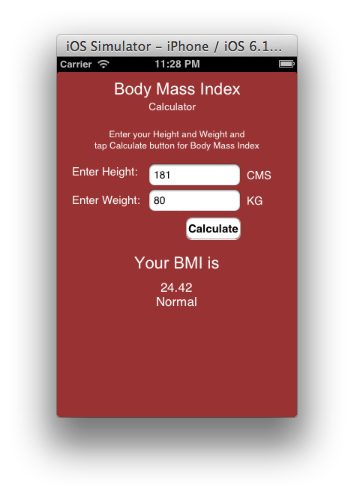 In this example we will test a sample BMI Calculator application for iOS. This is a pretty simple App with bunch of UI elements on a single view. You can get the App source from https://github.com/upgundecha/BmiCalculator. 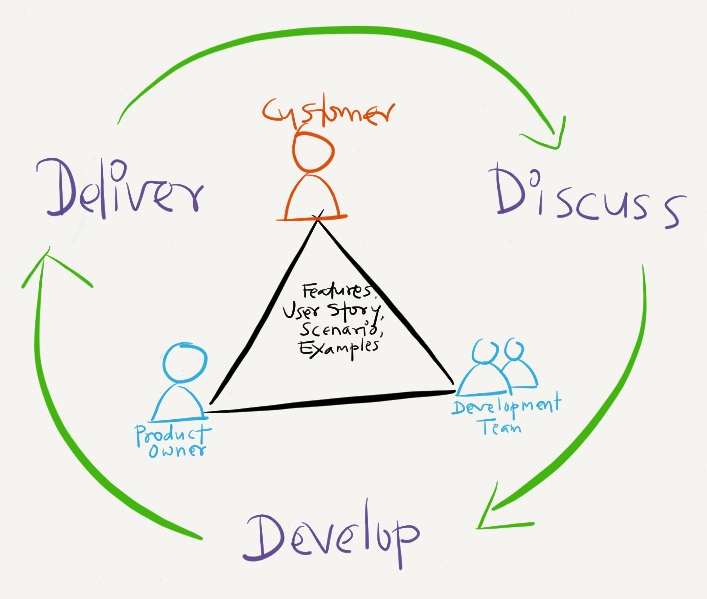 Our test need to tell Appium about what platform is needed for executing the tests. This is done by creating an instance of DesiredCapabilities class of WebDriver API and setting up configuration information in key/value pair. Create an instance of RemoteWebDriver instance and point it to http://mymacmachine:4723/wd/hub in the test by using Uri class from .NET System namespace and desired capabilities defined earlier. Here mymacmachine could be different in your environment. You can specify Hostname or IP of the Mac machine where Appium is running. You may not always get a dedicated hardware to test these Apps. Sauce labs, the company behind Appium, provides you an ability to run Appium tests in a virtual environment without needing you to setup everything from scratch. This also saves you costs for setting up the infrastructure on your own. So let’s setup and run this test with Sauce Labs. You need a free Sauce Labs account to begin with. Register for a free account on Sauce Labs and get the user name and access key. Sauce Labs provides all the needed hardware and software infrastructure to run your tests in the cloud. 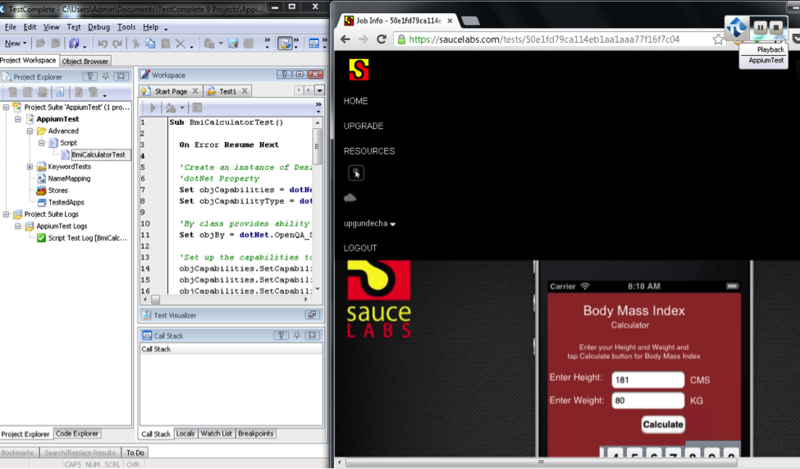 When you run the test you can login to your Sauce Labs account and see the progress in a Browser window. Based on desired capabilities, Appium provisions an instance of Mac in Sauce Labs cloud and drives the App. You can also view test run in Sauce Labs dashboard with details of each step along with screenshot and video of entire run. Appium bring exciting possibilities to TestComplete users for testing mobile applications in a platform independent way. These tests can be executed in a local environment or in the cloud or real devices in very a short time, with minimal efforts and costs. This brings more test coverage and faster feedback.